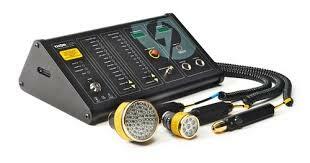 INTRODUCTION TO THOR LOW LEVEL LASER THERAPY (LLLT). SAFETY: Over 200 clinical trials and 1000 studies have been published regarding LLLT. It has been shown to be safer and more effective than anti-inflammatory medications for many conditions. LLLT also assists healing, and reduces pain, swelling, muscle fatigue and the area of damaged tissues. Acute or chronic tendon/joint capsular damage. Sprains, strains, bruises, ulcers, pressure areas. TREATMENT: LLLT improves tissue repair, and reduces pain & inflammation in the treated areas. Treatments usually take 20 – 25 minutes, and can be applied 2 times per week or weekly, depending on the condition & patient preferences. There are different regimes depending on the type of damage/inflammation, the size of the area involved and how long the condition has existed. HOW IT WORKS: When cells are stressed, Nitric Oxide (NO) is produced which prevents oxygen uptake into the energy producing (Mitochondrial Cytochrome C Oxidase) pathways. This reduces cell function (ATP production), causing oxidative stress, leading to further inflammation and reduced ATP production. LLLT displaces Nitric Oxide from the cells, thereby reducing inflammation, restoring energy (ATP) production, and helping tissues heal more quickly. By reducing inflammation, LLLT also reduces swelling & pain. HOW TO ACCESS LLLT: Dr Michael & Dr Michele Browne have done specific training and purchased the necessary THOR device for LLLT. Please discuss your condition in an appointment with them to determine if LLLT could be helpful for you. We can then arrange treatment regimes which are appropriate for you. Patients of any doctor at North Nowra Medical Practice or other practices can also arrange treatments after an initial assessment to determine if LLLT could be effective. LLLT will not cure all diseases! So it is important to first discuss your specific condition to ensure that your condition is likely to benefit. Please note that treatment sessions will ONLY be for LLLT, not other problems. Payment options can also be discussed, with reduced rates for low-income patients.